Harmony Village Sheppard Condos is a new mixed-use condominium and townhouse master-planned development currently in pre-construction at 3260 Sheppard Avenue East in Toronto, Ontario by City Core Developments and Fortress Real Developments. 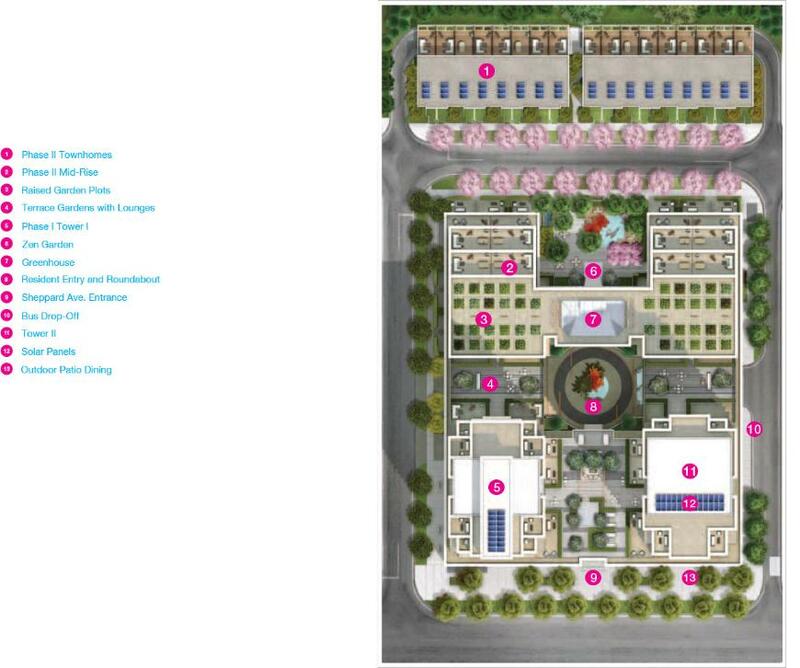 This community is intended for the Baby Boomers and seniors with two proposed phases. Prices for available units starts from $181,500 and this project is scheduled to be completed in 2017 with a total of 797 proposed residential units. 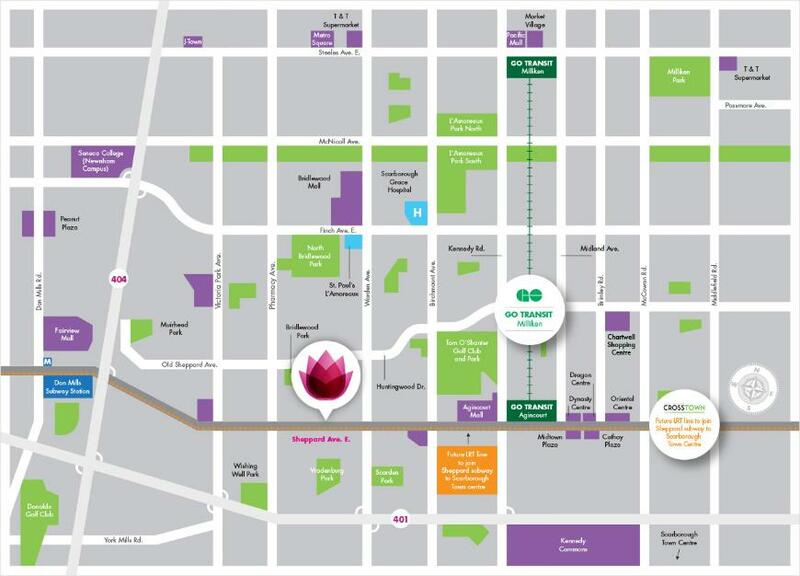 Harmony Village is conveniently located on the proposed Light Rail Transit (LRT) line along Sheppard Avenue at Warden Avenue in Toronto. This site is close to Highway 401 and TTC routes. Close to the beautiful Bridlewood Park, it's the perfect location to enjoy a vibrant lifestyle while staying close to the familiar Toronto neighbourhoods, favourite places, friends and family. The design of Harmony Village "allows you to truly age in place in a beautiful community that is fully accessible to everyone, regardless of age or physical ability". There are many services offered here such as 24-hour concierge or security, exercise and dance studio, ballroom and banquet facilities and theatre, a pharmacy, music and karaoke room, arts and crafts classroom, yoga, Tai Chi, dance studio, coffee shop, on-site medical offices with physiotherapy clinic and hydrotherapy pool and much much more. Register with us today for your First Access to Harmony Village and extraordinary living! Register today for "The Art of Living Well" by Sheppard & Warden.